with scarcely a battle, since the Egyptians had no use for the Persians and no loyalty to them, while the Persian armies were too small to resist him. More difficult was the conquest of the Phoenician city of Tyre, which Alexander took after a long siege. But he had not yet come to grips with the Great King, Darius III. In 333 b.c. and again in 331 he succeeded in defeating Darius, and in 330 Darius was murdered by his own subjects. Thereafter Alexander himself became the Great King, marrying one of Darius' daughters. In 327 b.c. Alexander began an expedition which took him as far as India. But after defeating the Indians and learning to counter the elephants brought against them by the Indian leader, his troops mutinied and refused to go further. Alexander then descended the Indus River and returned home via the desert, suffering great hardships on the way. Soon after returning to Babylon, one of the old Persian capitals, he died at the early age of thirty-three. He had never lost a battle, and his campaigns had changed the course of history in a decisive manner. The entire Near East was now opened to immigration from the greatly overpopulated mainland of Greece. Immigrants swarmed into the area, altogether changing the character of the rather static civilization they encountered. The culture became a mixture of Greek and Oriental, the Greeks supplying most of the drive and initiative. But the governments of the new states into which the empire was divided were despotic in the Oriental manner. Since Alexander died without designating a successor—his last wife, Roxane, gave birth shortly afterward to an heir—his generals disputed the succession between them. None was able to make good his claim to the whole, with the result that Egypt and a part of Palestine fell to Ptolemy, who became Pharaoh of Egypt in his own right, whereas the bulk of Alexander's Asiatic possessions fell in the end to a general named Seleucus. A small kingdom in northwestern Asia Minor centered around the city of Pergamum became an independent and prosperous state, while Macedonia and Greece fell to another general named Antigonus. Thus the leaders of Asia were now Greeks, and the Greek immigrants on the whole became a privileged class throughout Alexander's possessions. Alexander himself, however, had possessed many ideas that were far from common in his time. Educated by Aristotle, the greatest living Greek philosopher, he had absorbed Aristotle's taste for science, which he apparently shared, and he went beyond his master in his notion of the equality of the different peoples of mankind. 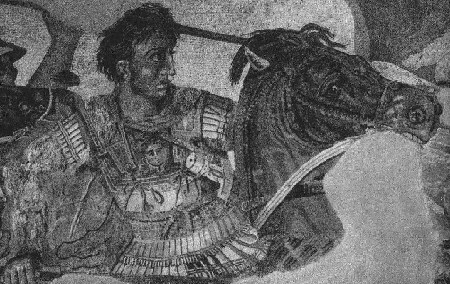 At quite an early stage in his career he decided that Persians should be given leading positions in his army, thereby incurring much resentment from his Macedonian elite troops. Nevertheless, Alexander persisted and suppressed the discontent, and the policy was continued after his death, even though probably considerably modified from Alexander's own ideas. Believing with Aristotle that the polis was the ideal form of political organization and that the democracy as practiced in Athens was one worthy of imitation in his new empire, he founded a considerable number of new city-states, which he endowed with institutions similar to those of the Athenians. Evidently he did not stop to consider that the Athenian institutions were suitable only for a free people, with a free power of decision in vital matters. Such vital matters, it is needless to say, were not entrusted to the assemblies and councils by the Hellenistic kings who succeeded him. The new monarchy therefore was more Oriental than Greek; but the culture of the Greeks was widely regarded in Asia as superior, and leading Persians took to it with great enthusiasm. The energetic and commercially-minded Greeks created an economic transformation in the Persian realms. In fact Hellenistic, society was a strongly commercial one, aided by the great accumulation of riches, which had hitherto been prevented from circulating, taken by Alexander from the Persian monarch. In many respects the Hellenistic civilization resembled our own commercial civilization, with somewhat the same incentives. But the Greeks had little in the way of religion to offer their Oriental subjects, and, for the most part, it was the Oriental religions that conquered this part of the world rather than anything imported from Greece.